It's Not Work, It's Gardening! 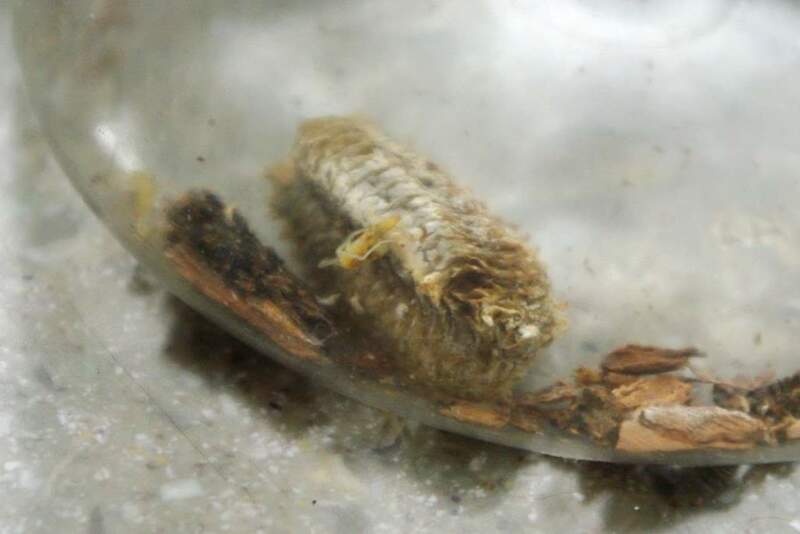 : Surprise Hatching! I'm glad I noticed this now, because the lid was open a crack, and there were only a few escapees. 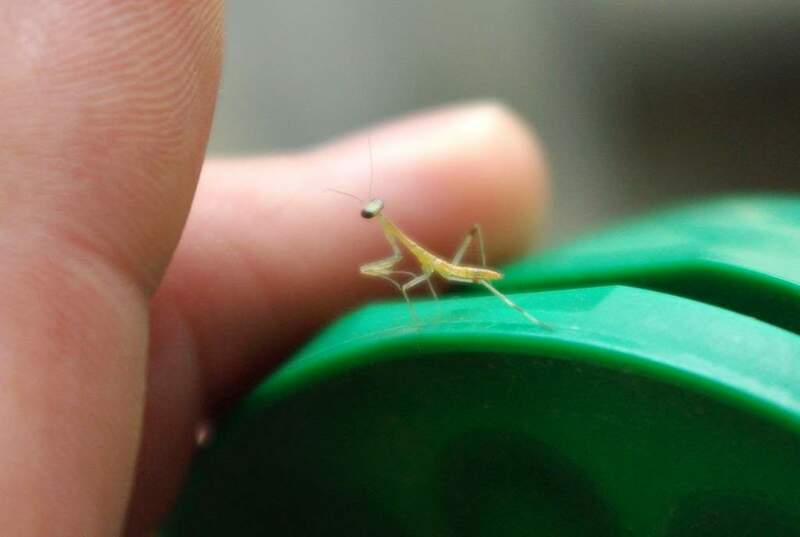 Either I got here just as the hatching started, or this is a preliminary hatching, but there were only about 8 mantises around. I did a quick check of the ceiling and counter but didn't see any more, although I wouldn't be surprised if we discover a few more on the walls or ceiling later today. I closed the lid too. 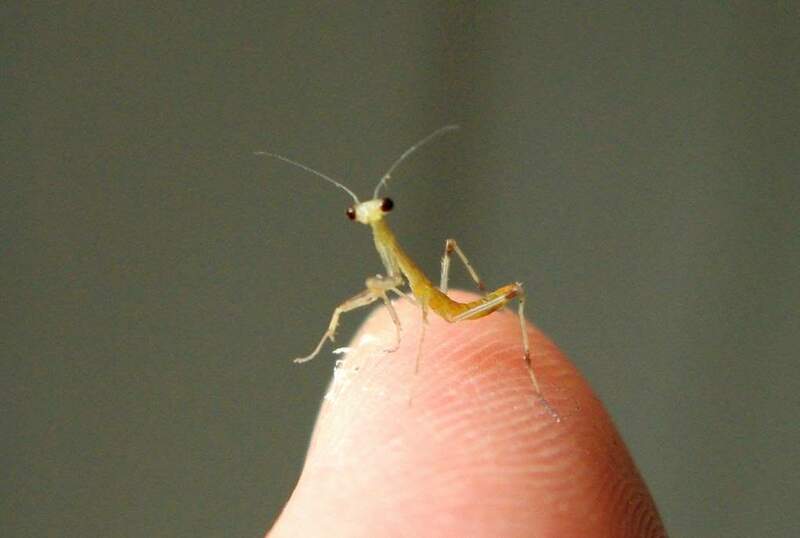 What I like most about these little guys is that they're just miniature versions of adult mantises. They really look no different (other than coloring, and size of course). Looks like I need to clean my camera lens too. I'll let these guys go in a few different bamboos around the yard. 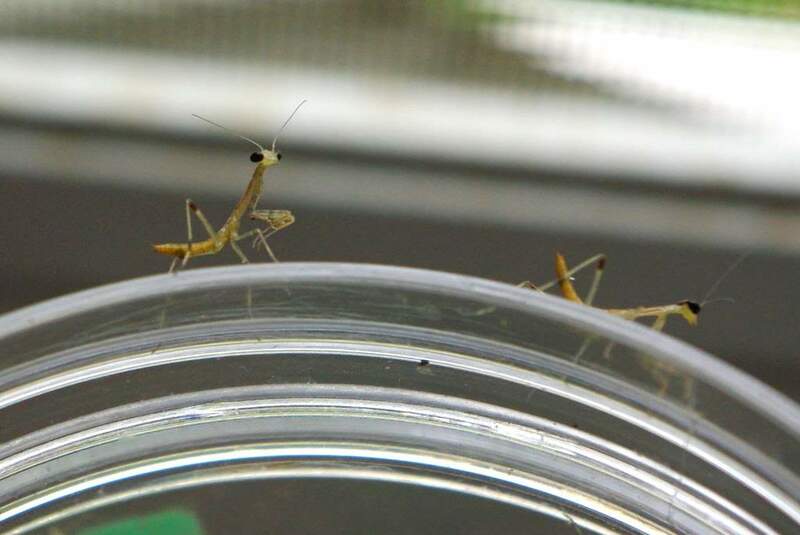 The bamboo seems to provide an almost ideal environment for the mantises -- last year I was able to keep track of several different mantises in the bamboo over the summer. I guess they don't move around very much if they're finding enough food. 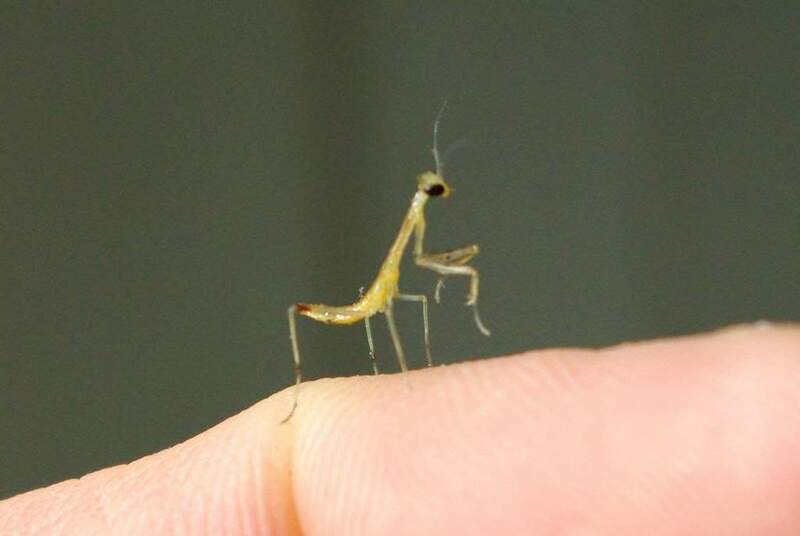 I'll write more about the mantises in a few weeks when the egg cases that are under the deck hatch. Right now, I've got to go check the kitchen ceiling again! What great shots of these little predators!